This article discusses some common issues when using the On-premises data gateway. If you encounter an issue that is not listed below, you can ask for further assistance in the following locations. For Power BI, you can use the communities site or you can create a support ticket. For PowerApps, you can use the communities site or you can create a support ticket. For Microsoft Flow, you can use the communities site of you can create a support ticket. For Logic Apps, you can submit a support ticket through the Azure portal. A lot of issues can surface when the gateway version is out of date. It is a good general practice to make sure you are on the latest version. If you haven't updated the gateway for a month, or longer, you may want to consider installing the latest version of the gateway and see if you can reproduce the issue. Here are a few common issues and resolutions that have helped a number of customers in environments that restrict internet access. Your proxy may require authentication from a domain user account. By default, the gateway uses a Service SID for the windows service log on user. Changing the log on user to a domain user can help with this. For more information, see Changing the gateway service account to a domain user. Some proxies restrict traffic to only ports 80 and 443. By default, communication to Azure Service Bus will occur on ports other than 443. You can force the gateway to communicate with Azure Service Bus using HTTPS instead of direct TCP. You will need to modify the Microsoft.PowerBI.DataMovement.Pipeline.GatewayCore.dll.config file. Change the value from AutoDetect to Https. This file is located, by default, at C:\Program Files\On-premises data gateway. You may receive this error if you are trying to install the gateway on a domain controller. Deploying on a domain controller is not supported. You will need to deploy the gateway on a machine that is not a domain controller. You may encounter installation failures if the anti-virus software on the installation machine is out of date. You can either update the anti-virus installation, or disable anti-virus only for the duration of the gateway installation to complete, then re-enable anti-virus. The gateway service logs are categorized into three buckets: information, error, and network. This categorization provides a better troubleshooting experience that allows you to focus on a specific area, depending on the error or issue. You can see the three categories in the following snippet from the gateway configuration file: GatewayInfo.log,GatewayErrors.log,GatewayNetwork.log. This file is located by default at: \Program Files\On-premises data gateway\Microsoft.PowerBI.EnterpriseGateway.exe.config. To configure the number of log files to retain, change the first number (20 in this example): GatewayInfo.log,GatewayErrors.log,GatewayNetwork.log,20,50. All of the details are available, but the call to the Power BI service returned an error. The error and an activity id are displayed. This could happen for different reasons. You can collect, and review, the logs, as mentioned below, to get more details. Information was received from the Power BI service to the gateway. The information was passed onto the local windows service, but it failed to return. Alternatively, a symmetric key generation failed. The inner exception is displayed under Show details. To get more details, you can collect and review the logs mentioned below. At the end of configuration, the Power BI service is called again to validate the gateway. The Power BI service does not report the gateway as live. Restarting the windows service may allow the communication to be successful. You can collect, and review, the logs, as mentioned below, to get more details. You may receive a script error when signing into Power BI as part of the On-premises data gateway configuration. Installing the following security update resolves the issue. This can be installed via Windows Update. You may encounter an error similar to the following. Failed to update gateway details. Please try again. This includes a stack trace, and that stack trace may include the following message. Microsoft.PowerBI.DataMovement.Pipeline.Diagnostics.CouldNotUpdateGatewayConfigurationException: Error updating gateway configuration. ----> System.ArgumentNullException: Value cannot be null. If you are upgrading from an older gateway, we preserve the config file. There may be a section that is missing. When the gateway tries to read it, we can get the above null reference exception. To correct this, do the following steps. Optionally apply the recovery key to restore an existing gateway. Adding or modifying these registry keys applies the change to all .NET applications. For information about registry changes that affect TLS for other applications, see Transport Layer Security (TLS) registry settings. Error: Unable to Connect. Details: "Invalid connection credentials"
Within Show details, it displays the error message received from the data source. For SQL Server, you see something like the following. Login failed for user 'username'. Verify that you have the correct username and password. Also, verify that those credentials can successfully connect to the data source. Make sure the account being used matches the Authentication Method. Error: Unable to Connect. Details: "Cannot connect to the database"
We were able to connect to the server, but not to the database supplied. Verify the name of the database, and that the user credential as the proper permission to access that database. Cannot open database "AdventureWorks" requested by the login. The login failed. Login failed for user 'username'. Error: Unable to Connect. Details: "Unknown error in data gateway"
This error could occur for different reasons. Be sure to validate that you can connect to the data source from the machine hosting the gateway. This could be the result of the server not being accessible. Within Show details, you can see an error code of DM_GWPipeline_UnknownError. 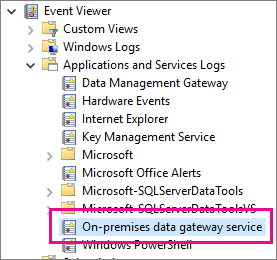 You can also look in the Event Logs > Applications and Services Logs > On-premises data gateway Service for more details. Error: We encountered an error while trying to connect to . Details: "We reached the data gateway, but the gateway can't access the on-premises data source." We were unable to connect to the specified data source. Be sure to validate the information provided for that data source. Within Show details, you can see an error code of DM_GWPipeline_Gateway_DataSourceAccessError. The 'CONTOSO\account' value of the 'EffectiveUserName' XML for Analysis property is not valid. If the underlying error message is similar to the following, it could mean that the service account for Analysis Services may be missing the token-groups-global-and-universal (TGGAU) directory attribute. Domains with Pre-Windows 2000 compatibility access have the TGGAU attribute enabled. However, most newly created domains do not enable this attribute by default. You can read more about this here. You can confirm this by doing the following. Connect to the Analysis Services machine within SQL Server Management Studio. Within the Advanced connection properties, include EffectiveUserName for the user in question and see if this reproduces the error. You can use the dsacls Active Directory tool to validate whether the attribute is listed. This is a tool found on a domain controller. You need to know what the distinguished domain name is for the account and pass that to the tool. You want to see something similar to the following in the results. To correct this issue, you need to enable TGGAU on the account used for the Analysis Services windows service. This error could also be caused if the Analysis Services server is in a different domain than the users and there is not a two-way trust established. You need to work with your domain administrators to verify the trust relationship between domains. Make sure that your account is listed in the Users tab of the data source within the gateway configuration. If you don't have access to the gateway check with the administrator of the gateway and ask them to verify. Only accounts in the Users list can see the data source listed in the Analysis Services list. Ensure that you have added one or more data sources to the gateway, as described in Add a data source. If the gateway doesn't appear in the admin portal under Manage gateways, try clearing your browser cache or signing out of the service then signing back in. This occurs if you have a single row greater than 4 MB in size. You need to determine what the row is from your data source and attempt to filter it out or reduce the size for that row. This can occur when the certificate CN is for the servers fully qualified domain name (FQDN), but you only supplied the NetBIOS name for the server. This causes a mismatch for the certificate. To resolve this issue, you need to make the server name within the gateway data source, and the PBIX file, to use the FQDN of the server. This could be because of a few different scenarios. The server and database name don't match between what was entered in Power BI Desktop and the data source configured for the gateway. These need to be the same values. They are not case-sensitive. Your account is not listed in the Users tab of the data source within the gateway configuration. You need to get with the administrator of the gateway to be added to that list. Your Power BI Desktop file has multiple data sources within it and not all of those data sources are configured with the gateway. You need to have each data source defined with the gateway for the gateway to show up within Scheduled Refresh. The exact limitation is 10 GB of uncompressed data per table. If you are hitting this issue, there are good options to optimize and avoid the issue. In particular, reducing the use of highly constant, long string values and instead using a normalized key or removing the column (if not in use) helps. This is usually caused by one of the following. The data source information does not match what is in the underlying dataset. The server and database name need to match between the data source defined for the On-premises data gateway and what you supply within Power BI Desktop. If you use an IP Address in Power BI Desktop, the data source, for the On-premises data gateway, needs to use an IP Address as well. There is not a data source available on any gateway within your organization. You can configure the data source on a new, or existing On-premises data gateway. If this report is making use of a live Analysis Services connection, you could be encountering an issue with a value being passed to EffectiveUserName that is either not valid or doesn't have permissions on the Analysis Services machine. Typically, an authentication issue is due to the fact that the value being passed for EffectiveUserName doesn't match a local user principal name (UPN). To confirm this, you can do the following. Find the effective username within the gateway logs. Once you have the value being passed, validate that it is correct. If it is your user, you can use the following command from a command prompt to see the UPN. The UPN looks like an email address. Optionally, you can see what Power BI gets from Azure Active Directory. Select Sign in in the upper right. Run the following query. You see a rather large JSON response. If your Azure Active Directory UPN doesn't match your local Active Directory UPN, you can use the Map usernames feature to replace it with a valid value. Or you can work with either your tenant admin or local Active Directory admin, to get your UPN changed. 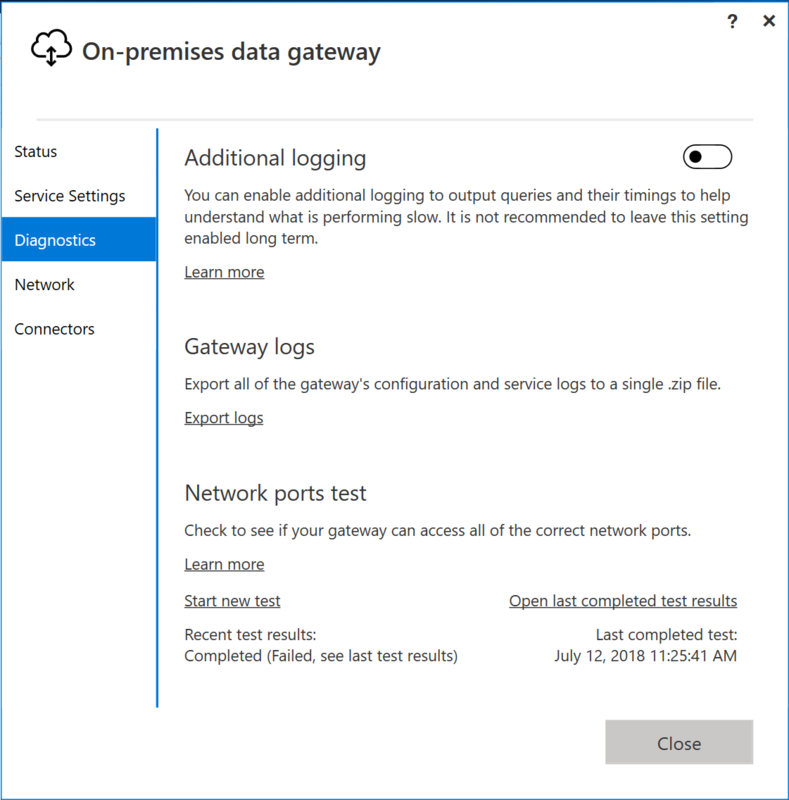 For information on providing proxy information for your gateway, see Configuring proxy settings for the Power BI gateways. 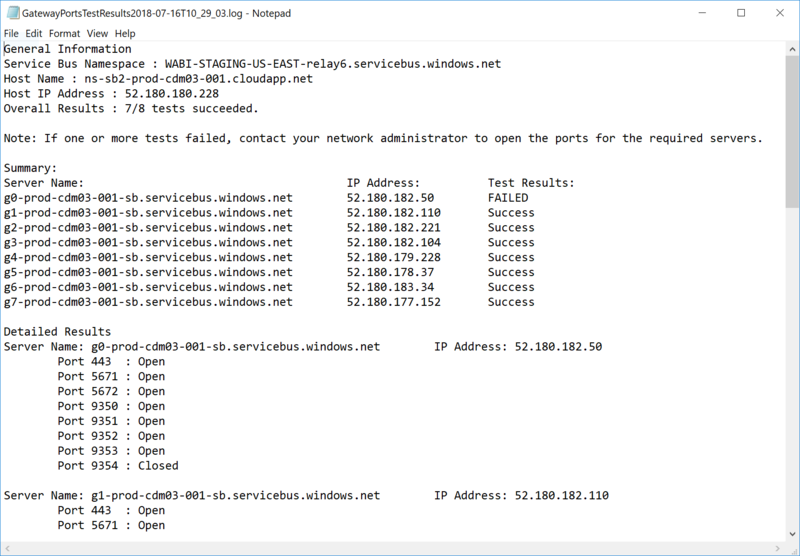 You can test to see if your firewall, or proxy, may be blocking connections by running Test-NetConnection from a PowerShell prompt. This will test connectivity to the Azure Service Bus. This only tests network connectivity and doesn't have anything to do with the cloud server service or the gateway. It helps to determine if your machine can actually get out to the internet. Test-NetConnection is only available on Windows Server 2012 R2 and later. It is also available on Windows 8.1 and later. On earlier OS versions, you can use Telnet to test port connectivity. The results should look similar to the following. The difference will be with TcpTestSucceeded. If TcpTestSucceeded is not true, then you may be blocked by a firewall. The firewall may also be blocking the connections that the Azure Service Bus makes to the Azure data centers. If that is the case, you will want to whitelist (unblock) the IP addresses for your region for those data centers. You can get a list of Azure IP addresses here. Select the ? in the upper right of the Power BI service. Your data region is listed in Your data is stored in. If you are still not getting anywhere, you could try getting a network trace using a tool like fiddler or netsh, although these are advanced collection methods and you may need assistance in analyzing the collected data. You can contact support for assistance. There are a number of performance counters that can be used to gauge the activities for the gateway. These can be helpful to understand if we have a large load of activity and may need to make a new gateway. These counters do not reflect how long something takes. These counters can be accessed through the Windows Performance Monitor tool. There are general groupings of these counters. ADO.NET This is used for any DirectQuery connection. ADOMD This is used for Analysis Services 2014 and earlier. OLEDB Certain data sources use this. This includes SAP HANA and Analysis Service 2016 or later. Mashup This includes any imported data source. If you are scheduling refresh or doing an on-demand refresh, it goes through the mashup engine. Here is a listing of the available performance counters. # of ADO.NET open connection executed / sec Number of ADO.NET open connection actions executed per second (succeeded or failed). 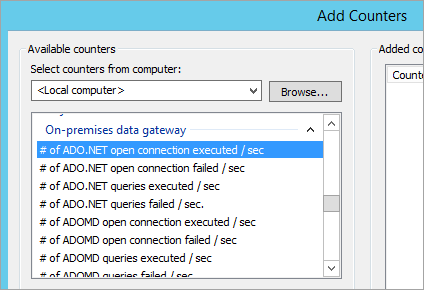 # of ADO.NET open connection failed / sec Number of ADO.NET open connections actions failed per second. # of ADO.NET queries executed / sec Number of ADO.NET queries executed per second (succeeded or failed). # of ADO.NET queries failed / sec Number of ADO.NET failed queries executed per second. # of ADOMD open connection executed / sec Number of ADOMD open connection actions executed per second (succeeded or failed). # of ADOMD open connection failed / sec Number of ADOMD open connection actions failed per second. # of ADOMD queries executed / sec Number of ADOMD queries executed per second (succeeded or failed). # of ADOMD queries failed / sec Number of ADOMD failed queries executed per second. # of all open connection executed / sec Number of open connection actions executed per second (succeeded or failed). # of all open connection failed / sec Number of failed open connection actions executed per second. # of all queries executed / sec Number of queries executed per second (succeeded or failed). # of items in the ADO.NET connection pool Number of items in the ADO.NET connection pool. # of items in the OLEDB connection pool Number of items in the OLEDB connection pool. # of items in the Service Bus pool Number of items in the Service Bus pool. # of Mashup open connection executed / sec Number of Mashup open connection actions executed per second (succeeded or failed). # of Mashup open connection failed / sec Number of Mashup open connection actions failed per second. # of Mashup queries executed / sec Number of Mashup queries executed per second (succeeded or failed). # of OLEDB multiple result set queries failed / sec Number of multiple result sets of OLEDB failed queries executed per second. # of OLEDB multiple result sets of queries executed / sec Number of OLEDB multiple result sets of queries executed per second (succeeded or failed). # of OLEDB open connection executed / sec Number of OLEDB open connection actions executed per second (succeeded or failed). # of OLEDB open connection failed / sec Number of OLEDB open connection actions failed per second. # of OLEDB queries executed / sec Number of OLEDB multiple result sets of queries executed per second (succeeded or failed). # of OLEDB queries failed / sec Number of OLEDB multiple result sets of failed queries executed per second. # of OLEDB single result set queries executed / sec Number of OLEDB single result set queries executed per second (succeeded or failed). # of queries failed / sec Number of failed queries executed per second. # of single result set OLEDB queries failed / sec Number of single result set OLEDB failed queries executed per second. You may find that response through the gateway is slow. This could be for DirectQuery queries or when refreshing your imported dataset. You can enable additional logging to output queries and their timings to help understand what is performing slow. When you find a long-running query, it may require additional modification on your data source to tune query performance. For example, adjusting indexes for a SQL Server query. You need to modify two configuration files to determine the duration of a query. Within the Microsoft.PowerBI.DataMovement.Pipeline.GatewayCore.dll.config file, change the EmitQueryTraces value from False to True. This file is located, by default, at C:\Program Files\On-premises data gateway. Enabling EmitQueryTraces begins to log queries that are sent from the gateway to a data source. Enabling EmitQueryTraces could increase the log size significantly depending on gateway usage. Once you are done reviewing the logs, you can need to set EmitQueryTraces to False. It is not recommended to leave this setting enabled long term. Within the Microsoft.PowerBI.DataMovement.Pipeline.Diagnostics.dll.config file, change the TracingVerbosity value from 4 to 5. This file is located, by default, at C:\Program Files\On-premises data gateway. Changing this setting begins to log verbose entries to the gateway log. This includes entries that show duration. 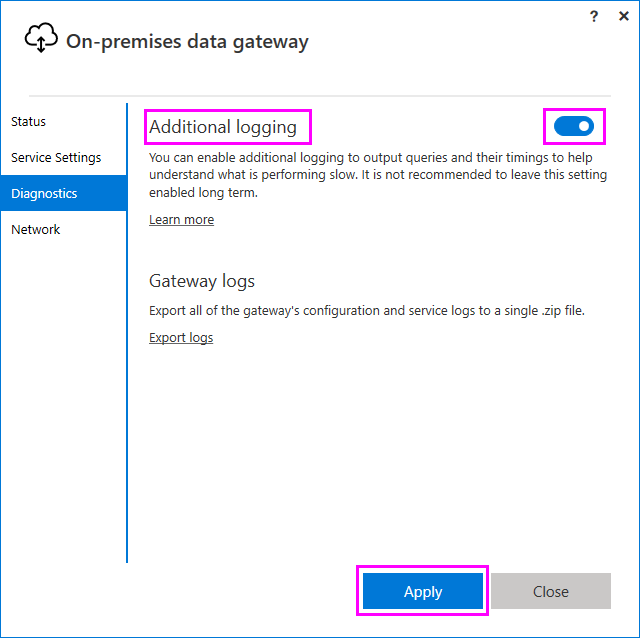 You can also enable verbose entries by enabling the "Additional Logging" button in the On-Premises Gateway application. Enabling TracingVerbosity to 5 could increase the log size significantly depending on gateway usage. Once you are done reviewing the logs, you need to set TraceVerbosity to 4. It is not recommended to leave this setting enabled long term. MGEQ Queries executed over ADO.NET. This includes DirectQuery data sources. MGEO Queries executed over OLEDB. This includes SAP HANA and Analysis Services 2016. MGEM Queries executed from the Mashup engine. This is used with imported datasets that use scheduled refresh or refresh on-demand. To determine the time it took to query the data source, you can do the following. Search for an Activity Type to find the query. An example of this would be MGEQ. Make a note of the second GUID as this is the request id. Continue to search for MGEQ until you find the FireActivityCompletedSuccessfullyEvent entry with the duration. You can verify the entry has the same request id. Duration is in milliseconds. FireActivityCompletedSuccessfullyEvent is a verbose entry. This entry is not logged unless TraceVerbosity is at level 5. You can test to see if your firewall, or proxy, may be blocking connections by running Test-NetConnection from a PowerShell prompt. This tests connectivity to the Azure Service Bus. This only tests network connectivity and don't have anything to do with the cloud server service or the gateway. It helps to determine if your machine can actually get out to the internet. The results look similar to the following. The difference is with TcpTestSucceeded. If TcpTestSucceeded is not true, then you may be blocked by a firewall. The firewall may also be blocking the connections that the Azure Service Bus makes to the Azure data centers. If that is the case, you want to whitelist (unblock) the IP addresses for your region for those data centers. You can get a list of Azure IP addresses here. The network ports test is a tool to check if your gateway can access the correct ports for all remote servers that are required by your gateway for transferring data. If the network ports test fails to connect to any of the ports, your gateway may experience network issues. If you are currently experiencing network issues with your gateway, run a network ports test to ensure that you have the optimal network environment. To run a new network ports test, in the On-premises data gateway user interface. When executing the network ports test, your gateway retrieves a list of ports and servers from Azure Service Bus and then it attempts to connect to all the servers and ports. When the Start new test link reappears, the network ports test has finished executing. A summary of the test can be seen below the Start new test link as Recent test results. The two results are Completed (Succeeded) and Completed (Failed, see last test results). If the test succeeded, then your gateway successfully connected to all the required ports. If the test failed, then your network environment may be blocking these required ports and servers. To view the results of the last completed test, select the Open last completed test results link, as seen below. The test results open in Windows’ default text editor. The test results list all the servers, ports, and IP addresses that are required by your gateway. If the test results display Closed for any ports as shown below, ensure that your network environment is not blocking the connection. You may need to contact your network administrator to open the required ports. 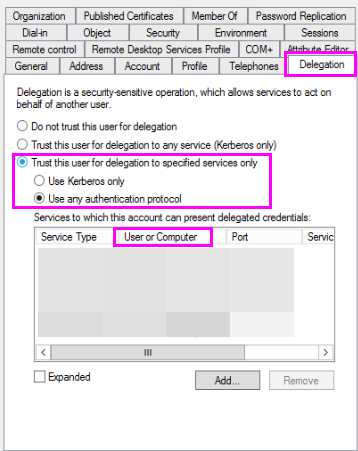 If the underlying database server and On-premises data gateway are not appropriately configured for Kerberos Constrained Delegation, enable verbose logging on the gateway, and investigate based on the errors/traces in the gateway’s log files as a starting point for troubleshooting. The ImpersonationLevel is related to the SPN setup or the local policy setting. The FailedToImpersonateUserException happens if you are not able to impersonate on behalf of another user. This could also happen if the account you are trying to impersonate is from another domain than the one the gateway service domain is on (this is a limitation). 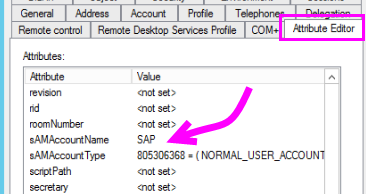 SAP HANA requires the impersonated user to use the sAMAccountName attribute in AD (user alias). If this is not correct, you see the 1033 error. You get the -10709 Connection failed error message if your delegation is not configured correctly in AD. There are several logs you can collect for the gateway, and you should always start with the logs. The simplest way to collect logs after installing the gateway is through the user interface. 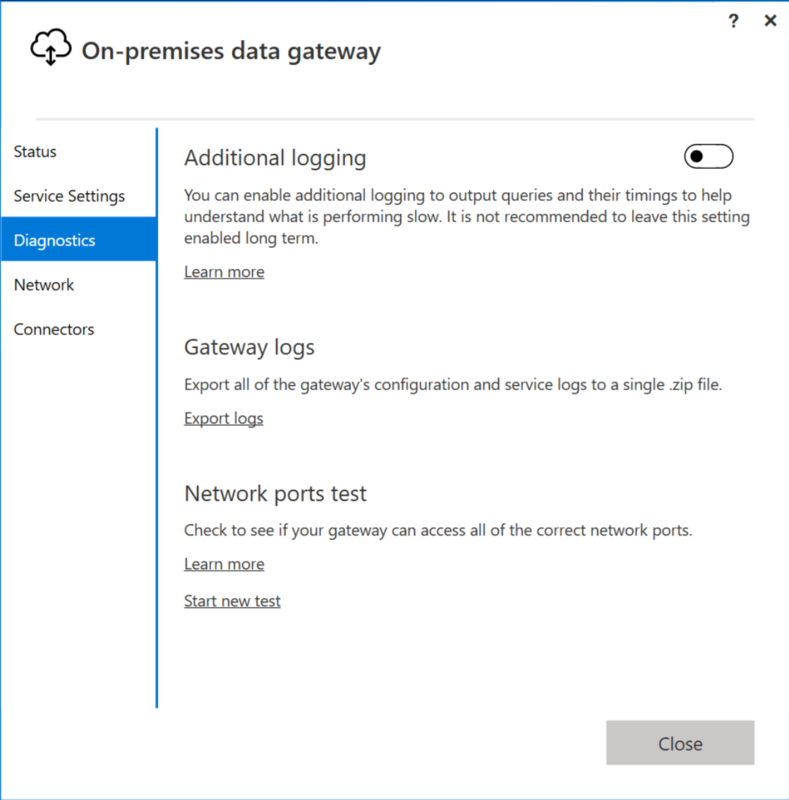 In the On-premises data gateway user interface, select Diagnostics and then select the Export logs link near the bottom of the page, as shown in the following image. 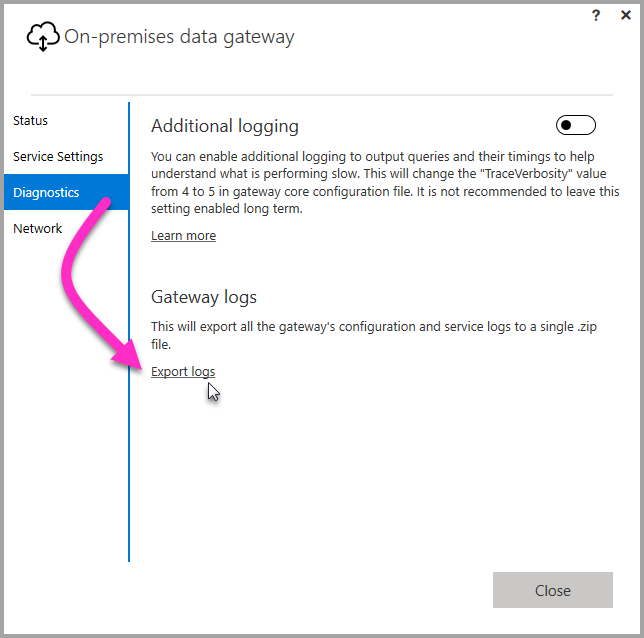 The On-premises data gateway service event logs are present under Application and Services Logs. Fiddler is a free tool from Telerik that monitors HTTP traffic. You can see the back and forth with the Power BI service from the client machine. This may show errors and other related information. 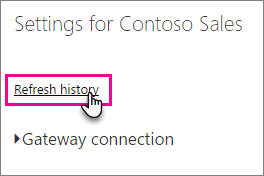 When using the gateway for a scheduled refresh, Refresh History can help you see what errors have occurred, as well as provide useful data if you need to create a support request. You can view both scheduled, as well as on-demand, refreshes. Here is how you can get to the Refresh History. In the Power BI navigation pane, in Datasets, select a dataset > Open Menu > Schedule Refresh. In Settings for... > Schedule Refresh, select Refresh History. For additional information about troubleshooting refresh scenarios, take a look at the Troubleshooting Refresh Scenarios article.